2013 is coming to an end, so it’s time to look back and forward. 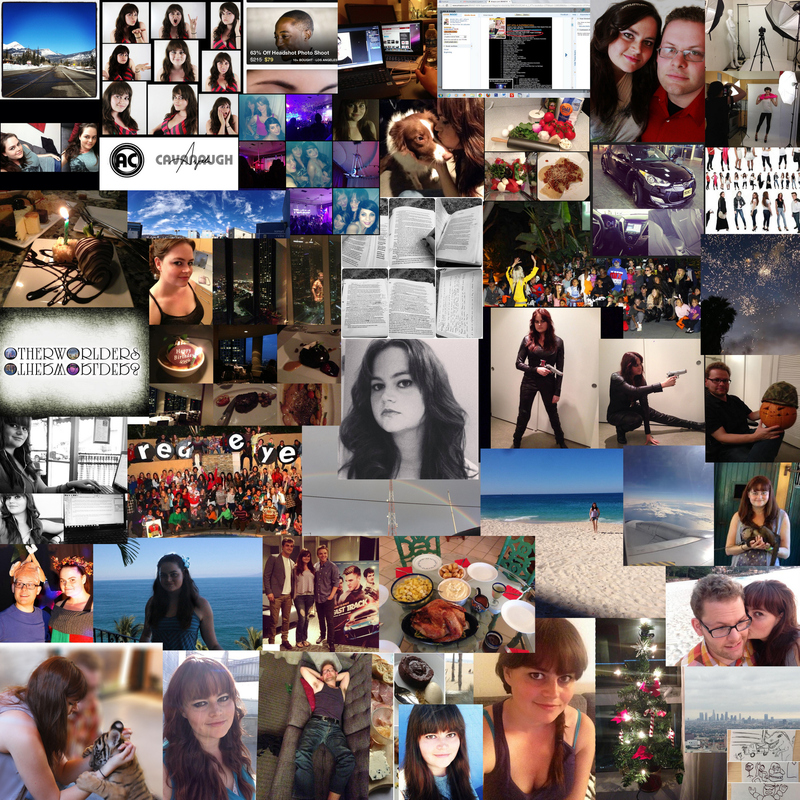 I think, all in all, it’s been a pretty great year. I’ve had a lot of struggles with getting a good job this year. I’m still working on finding one. Finances have been troublesome, too. I’m working hard to find a job that can sustain me until I publish. But with the few bad things, there has also been a lot of good stuff. I started this blog. I think it’s going well so far. With any luck, next year it will continue to grow. I’d love to have more followers, more content, and a great relationship with all my readers. I also hope that next year I can get my book published. The revisions are coming to an end, everything is tight and flows well, I think. It’s just about ready. And of course, I’ll write more books next year. Hopefully a couple. I have so many ideas. Can’t wait to get them all down. Next year, my twenties will be over. I guess I’ll really be an adult by any standard. In some ways, I feel completely grown and ready for the next stages of my life. In other ways, I feel so young, a little lost at times, and not ready. People often think I’m about ten years younger than I am, and I think it throws off my own perception at times. In the coming year, I hope that my relationship with my boyfriend continues to be amazing, and advances. I also want my weight loss to continue. This last year, I’ve lost an amount that I’m proud of. In total, I’m down 40 lbs from my heaviest. I feel like I still have 20-25 more to go. My goal is to look like a Victoria Secret model. Ambitious, but that’s just what I am in all areas of my life. Have a great year everyone! Please enjoy the things below. One is my year in photos. 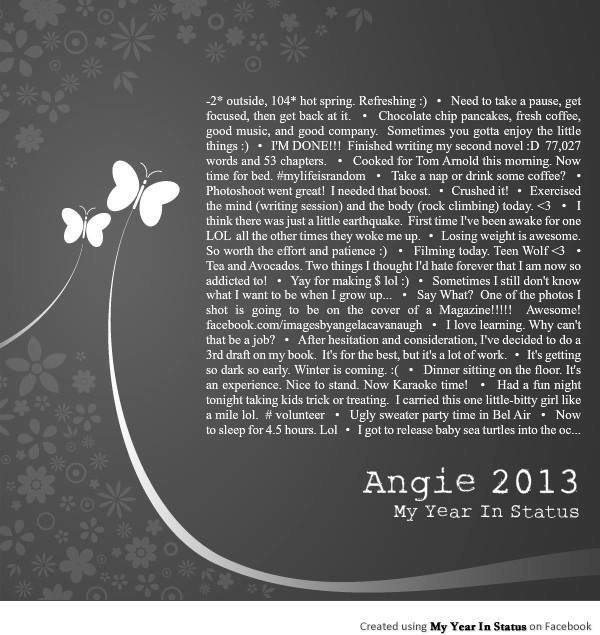 The other is my year in facebook statuses.